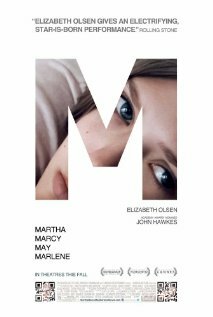 It’s Oscar bait time, and right now the front-runner in the “Indie Film That No One Watched But Is Actually Going To Win A Bunch Of Awards” category is Martha Marcy May Marlene, a subversive little psychological thriller by Sean Durkin. It’s the story of Martha, a listless young woman played by Elizabeth Olsen. She’s been missing for years, and out of the blue she inserts herself into her sister’s life. She’s not very communicative about where she’s been, and it becomes clear that her past can’t be forgotten quite as easily as she had hoped. This is an effective character study, mostly because in Martha we have an effective character, played by an amazing actress. Elizabeth Olsen is a lock for an Oscar nomination here, and she reminds one of what Scarlet Johansson’s career could have been like if she actually had talent. I would go as far as to say that Durkin may be deserving of similar praise. He shifts the scenery from Martha’s present to her recent past so seamlessly, that at times they’re almost indistinguishable from each other, which is kind of the point. As the movie progresses, it becomes clear that the Martha’s past (she’s spent the last two years essentially living with a communal cult) is closer to catching up with her than she thinks. This is a quiet film, and one whose twists and turns are emotional rather than plot-driven. I’m looking forward to seeing what else both Durkin and Olsen are capable of. Probably the best compliment I could give Margin Call is how much it reminded me of Glen Garry Glen Ross. While it doesn’t have the overwrought verbosity of that Mamet classic, the tone is similar, and it deals with similar subject matter: In both cases, we’re dealing with the end of an era. Margin Call is the story of a fictional financial firm, the night before that firm’s actions trigger a monumental international financial crisis. The comparisons to the recent 2008 financial crisis are numerous and obvious (this fictional firm is obviously Lehman Brothers), but the decision to make this a fictional story was a smart one, and it gives director JC Chandor more than enough leeway to concentrate on character development and storytelling, and not worry about the minutia one would if they were making a biopic. This is a phenomenal first film. The top-heavy cast (Stanley Tucci, Zachary Quinto, Kevin Spacey in his best film role in years, Michael Bettany in his best non-albino monk role in years, Penn Badgely, Simon Baker, Demi Moore, and Jeremy Irons playing the role of Gravitas-Laden Master Thespian) is a true ensemble: Everybody gets their moment in the sun, but they’re all working towards the greater good. There are no “stars” in this movie, just extremely talented pieces of a movie making puzzle. And it doesn’t hurt that they’re working with one of the best scripts I’ve heard this year. There have been some very great movies made about money, or perhaps more accurately, the loss of money. There is a gleeful joy we seem to get when shown very rich people becoming very poor people. 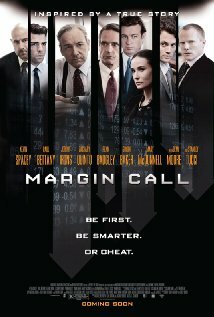 And on the surface, Margin Call seems to be a nice postscript to that minor pantheon. But it doesn’t take long for us to realize that the money that Margin Call is discussing, the money that is quickly slipping through this firm’s fingers, is ours. My childhood was devoid of many of the pop-culture trappings prevalent in the psyches of so many people my age. Thanks to my religious upbringing, I seemed to be able to avoid many of the tropes often found in the emotional baggage of people who great up in the late 1970s and 1980s. Except for the Muppet Show. That one stuck. I loved this show. Loved it like Stephen Harper loves putting poor people in prison. 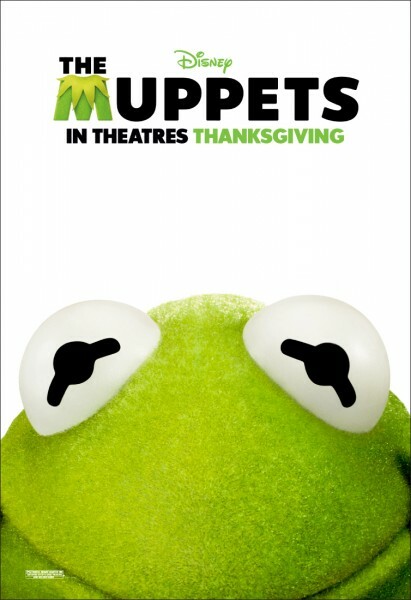 And for a while, The Muppets was one of the few franchises that could successfully cross over into the movies, with at least 4 good-to-great films under their collective belt. But that was a long time ago. People change. Tastes change. We live in a more cynical time now. One where the height of TV sophistication seems to involve watching people of limited intellectual capacity cavort and preen before the cameras in unlikely predetermined situations for our amusement. One where irony and witticism have been replaced with snark and doubt. In a world like the one we’re in, is there still room for the Muppets? Heck yes. Double heck yes. The premise is this. Walter and Gary (played by Jason Segel) are brothers. Walter is a Muppet, Gary is not. This is never explained, but does make one want to know a little bit more about the personal life of Walter and Gerry’s mom. Walter is a huge fan of Kermit and the rest of the Muppets, and so he, Gary, and Mary (Gary’s girlfriend of 10 years, played ably by Amy Adams, who dusted off her Amy Adams suit one last time for this one) embark on a trip to the original Muppet Studios in LA (a more cynical person might point out that the original Muppet Show was filmed in London. Alas, I am not that cruel). They find the studio decrepit, derelict, and guarded grumpily by Alan Arkin. Walter discovers that Chris Cooper is about to destroy the Muppet Studios in order to drill for oil (the very remote probability of discovering an oil well in downtown LA is thankfully never discussed), and so our three heroes try to find Kermit The Frog, to let him know what’s happening to his beloved studio. They convince him of the righteousness of their cause, and then proceed to literally get the band back together. This movie is what you get when you inject pure joy directly into your brain. I can’t remember another film this year that had me smiling this much. This is a big, old-timey, fun and frivolity-laden, movie musical, and one that deserves your praise. Now, this movie is a nostalgia trip to be sure, but one that never really feels dated, despite the presence of Mickey Rooney. (On a side note: Mickey Rooney’s still alive. Who knew?). This film (like the original Muppet Show) is geared as much toward adults as it is towards children, although only time will tell which group appreciates this version more. This is a formula movie, but one that reminds us why those formulas exist. We know what will happen in pretty much every frame of the movie, and that doesn’t dilute our enjoyment of it at all, due to the fantastic execution of said formula. And while to say it is a cliché of its own, this really is about as much fun as you’ll have at the movies this year. You can even bring your kids. This entry was posted in Movies and tagged Margin Call, Martha Marcy May Marlene, Movies, Muppets. Bookmark the permalink. The Great Comic Book Cull Part 58: Marvel Comics – Spider-Woman!